Thank you for the idea and the guide. It sounds like a perfect project to pick up as I come online next time. I logged out at Mist’s Edge! Nice, you are just in the right place! 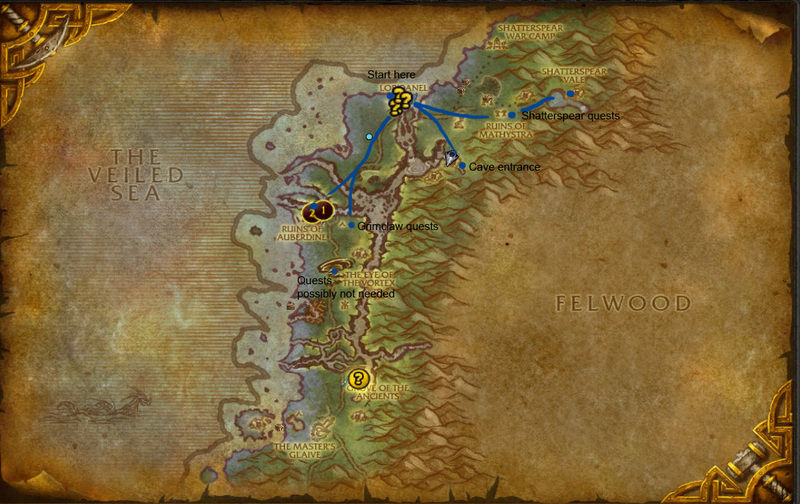 I think I would have done the Darkshore quests anyway – so many memories here, and I found the quests very compelling – but it’s a nice bonus that they conclude with this reward. I hope you have fun and you’re most welcome! I know it’s not the most detailed guide but hopefully it will do. Ooh, thanks for sharing! I knew he was available to Alliance with a quest, but I had no idea I could buy him on my Horde main too! Now if only the EU servers would hurry up! No problem! I’m always happy to help. You’re welcome, haha. Someone posted about the new pets on Twitter last night and so it was first on my list when I was logging in. I logged out last night right by the Plants vs Zombies quest-giver guy, don’t forget about those too! Glad to know Cerellean is still alive and kicking. His vanilla quest, “For Love Eternal” was the last one I did the day before the patch. Yes! AND he doesn’t cry now. People used to make fun of him crying. I’m glad he’s still there. I started Withers a while back, and then something shiny happened: thank you for getting me back on track!